How can you successfully move yourself forward on multiple projects every few months? What is full plate syndrome? How do we manage what is on our plate and use our time most effectively? What are some quick tips you can give us around time management? Rebecca specializes in highlighting experts, influencers, messengers, and events to help them reach more people around the world! 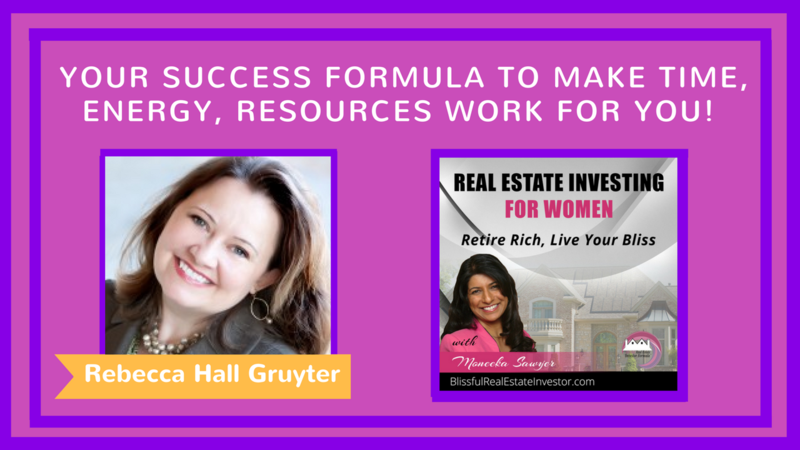 Rebecca Hall Gruyter is the founder/Owner of Your Purpose Driven Practice, Creator of the Women’s Empowerment Series events and TV show, Creator of the Speaker Talent Search, and International Best Selling Author (multiple times). The Producer and Creator of: “Empowering Women, Transforming Lives” (rated #1 on the Women’s Channel and syndicated on multiple networks). As the CEO of RHG Media Productions™, she launched the International TV Network called RHG TV Network™ bringing positive and transformational shows to the world. She also produces the global magazine “RHG Magazine & TV Guide™” and now has expanded her publishing arm to include both anthologies and individual authored books bringing powerful books to life! Rebecca wants to help you expand your reach and influence to impact more people around the world!